However, when I made my journal cover for the ACT Textile Arts group holiday challenge, I decided to revise my earlier idea and made a journal cover for my friend Margaret instead. I like journal covers that fully enclose the journal so that loose things don't fall out but I didn't want the closure to have any impact on the poppy, so I opted for a zipper closure - which was as difficult as I thought it would be. Fortunately, Margaret loved it and didn't notice the bits that were a bit wonky. That's so pretty :) I agree with you on the fully closed bit. I like to have a cover that you completely close. I carry lots of stuff around in my journal and it always falls out! 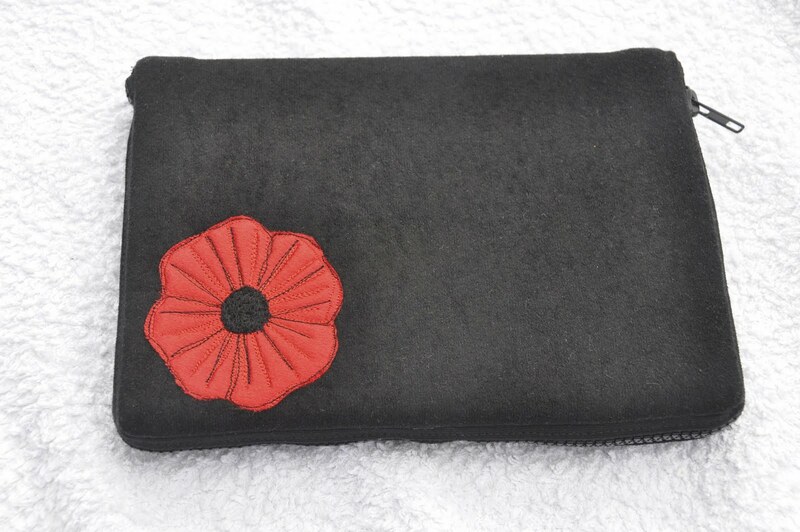 The poppy looks really striking and using the zip is a great idea.